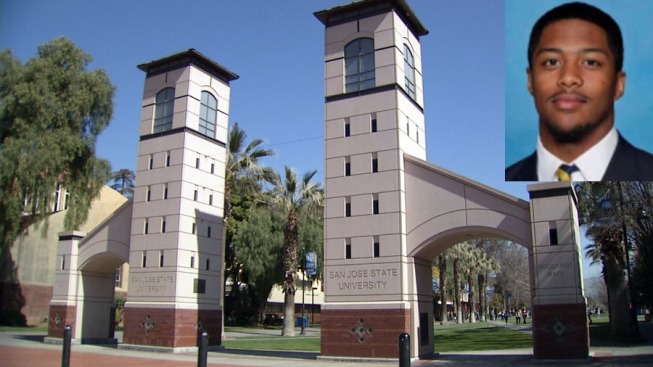 A San Jose State University football player is expected to recover after suffering from a stab wound during a fight overnight Sunday, according to the university. Chad Miller, a safety with the Spartans, was in downtown San Jose enjoying a night out with friends when the stabbing occurred, the university said. He was stabbed at least once during the altercation and taken to a hospital with major injuries. The university confirmed Miller was injured during a fight on Post Street, where one business owner said the brawl involved at least 12 people. The merchant was not certain how the brawl started. Some SJSU students said they weren't entirely shocked by the violence because they've seen people carrying weapons in downtown San Jose. "To be honest, I'm not surprised," student Fadi B. said. "Downtown is not known for its safety. I've seen a lot of people carrying huge knives on their side, things of that nature." Student Lauren Fisher said there was a shooting at one of the bars on Second Street recently. She and other students said they generally feel safe at San Jose State, but once they set foot off campus, they're not as confident. "It's just dangerous," Fisher said. "You never know what's going to happen." The stabbing is not the first time Miller has landed in the hospital after a fight. In 2015, he suffered injuries after a fight in a dorm with a teammate, who was later suspended. Miller, a junior, is from Vallejo, where he played football at Bethel High School, according to his bio on the SJSU website..